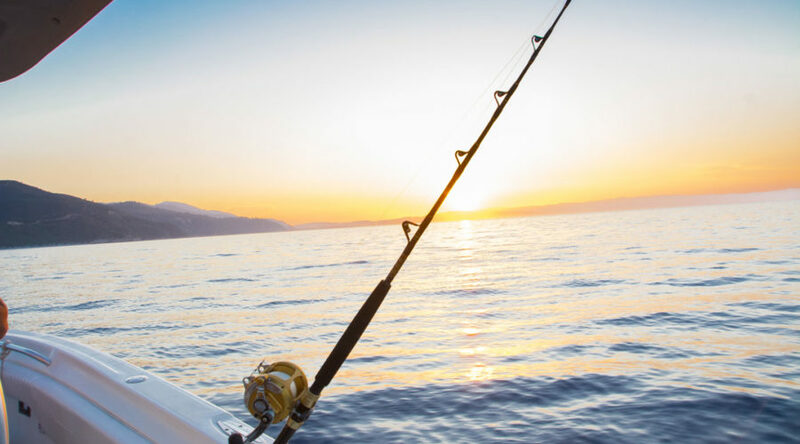 Are you a nature lover and a fan of fishing? 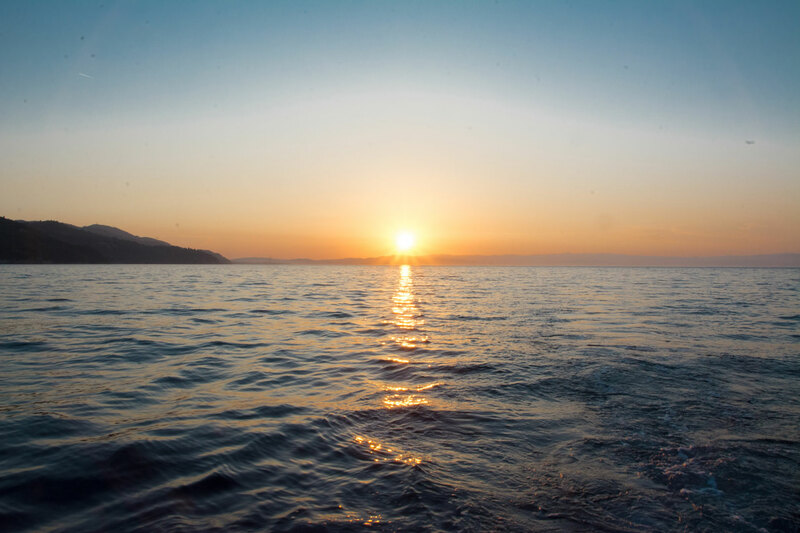 Enjoy the beautiful scenery as we are sailing in the bay between Sithonia and Mount Athos. 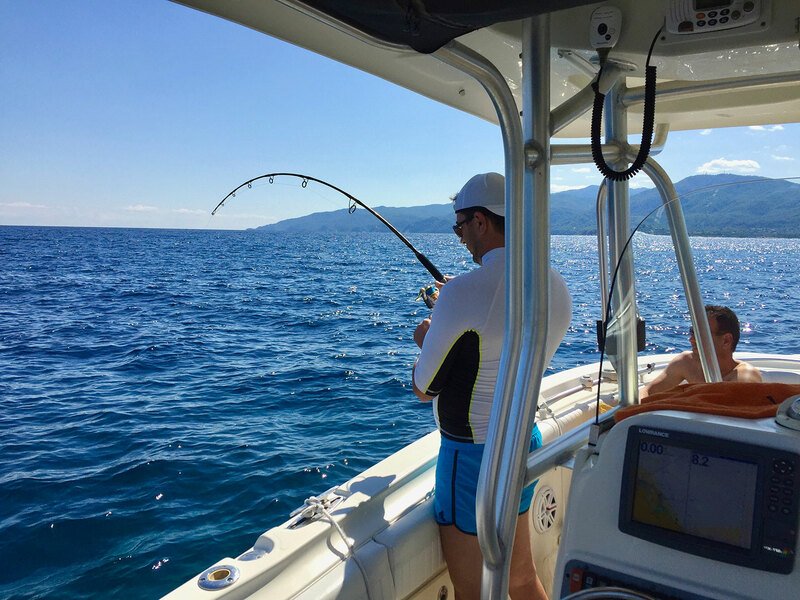 Try the “Fishing In-shore” cruise, enjoy the peace and serenity of nature but also the thrill of fishing in the Aegean sea. This adventure lasts four amazing hours, with three hours of crusing. 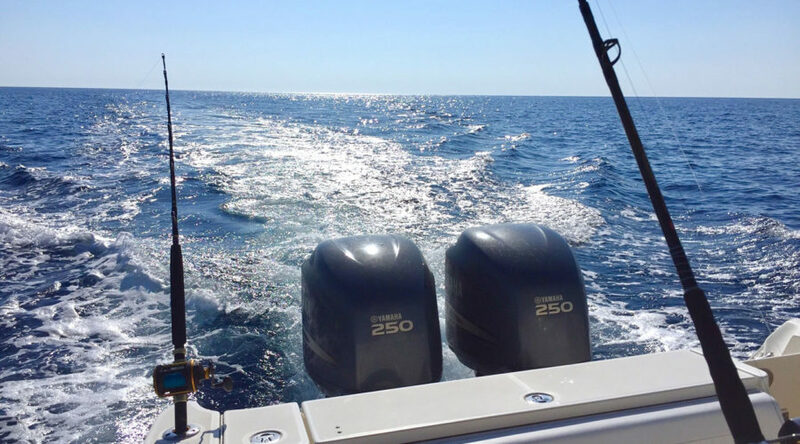 If you’re eager to test your sea bass fishing skills this trip is for you. 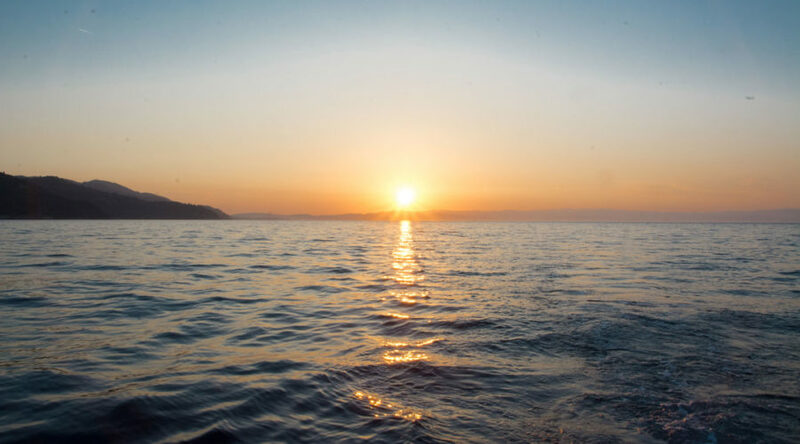 We are also sailing near the island of Ammouliani, the small but majestic island in the bay of Mount Athos. 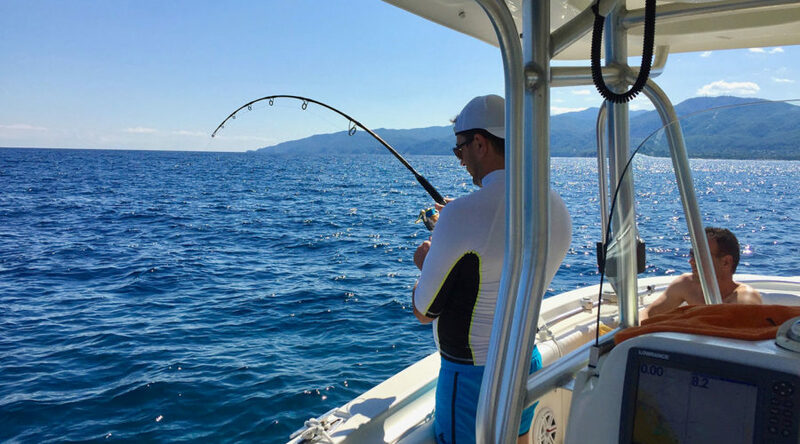 If we chose to, we might make a stop and enjoy a meal of our fresh fish cooked in an authentic Greek tavern. 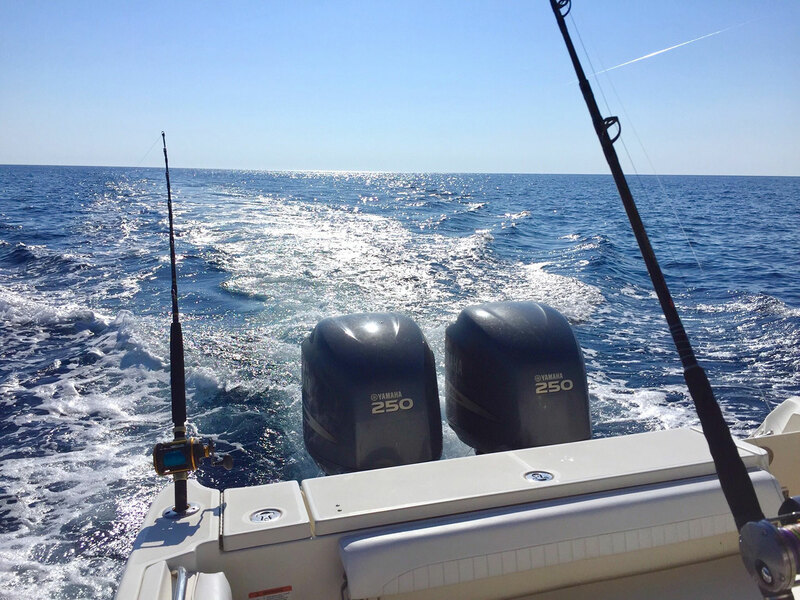 The “DILEON” is equipped with seven Penn International fishing rods; professional and high quality saltwater fishing rods. 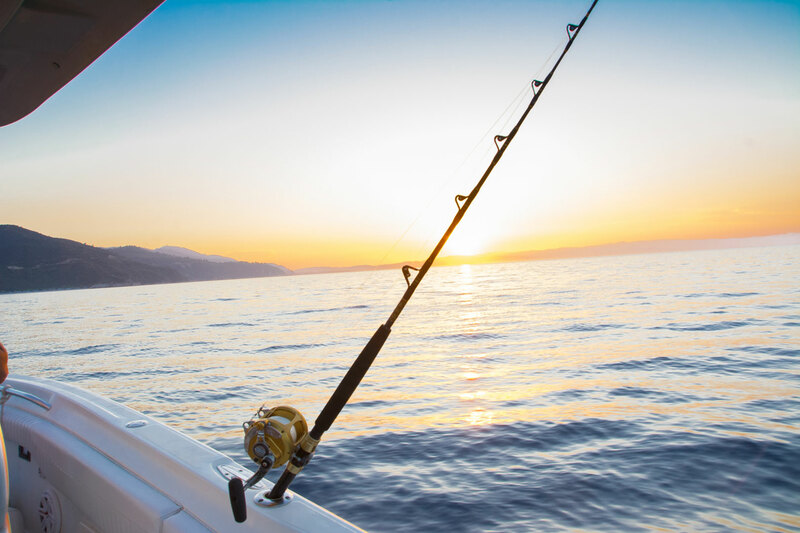 Onboard, our customers can enjoy a variety of complimentary snacks and refreshments, next to the fish you catch of course.